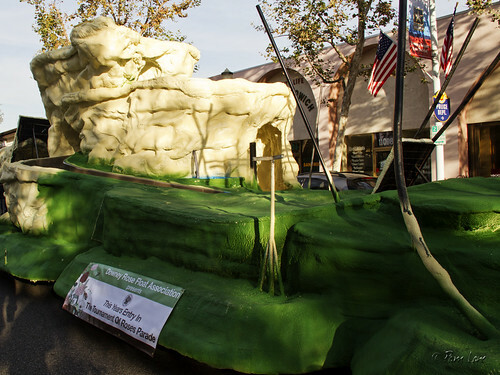 The Downey Rose Parade Float-to-be was one of the final entries in the Downey Christmas Parade last week. It doesn't look like much—yet. But in a couple of weeks, it's going to be an Enchanted Paradise. The float is an entirely volunteer effort, with fundraisers and planning going on all year long. But the most intensive work takes place during the week between Christmas and New Year's Eve, when volunteers work from 10 a.m. to 10 p.m. every day to complete the float. If you're local, click here for information on how you can participate.